With support from the Consulate General of the People’s Republic of China in New York and invitation by the All China Federation of Industry and Commerce, The New York in China Center led the “New Majority Alliance” delegation in visits to Beijing, Xi’an, and Shanghai. The delegation met with leaders and representatives of the business community in China with exchanges in Sino-US technological innovation, business development, friendship agreements and government to government relations. See our reports: Beijing Report, Shanghai Report, XiAn Report. In response to President Xi’s proposals entitled “Tell Chinese Stories Well” and relating to the 2016 China-U.S. tourism year, the City of Changzhou, Jiangsu Province in China has engaged the Asian American Business Development Center to organize and present an art and cultural exhibition from July 12-14, 2016 at Federal Hall National Memorial, located at 26 Wall Street in Manhattan. Examples in the exhibition show national cultural heritage such as Jintan paper-cut, which represents the folk art of the Han nationality. The purposes for this art exhibition will be to showcase an exhibit by the Changzhou City’s arts and culture and to promote cultural exchanges between the U.S. and China. This is Asian American Business Development Center’s ninth trade mission to China since 2001 and it is the third such trade mission organized by AABDC’s New York in China Center since 2008. Steven H. Cymbrowitz; Senator Hugh T. Farley; Senator Joseph A. Griffo; Senator George D. Maziarz. The New York State Delegation on High Speed Rail, headed by Senator Malcolm A. Smith, visited China on September 17 – 22 to study their high speed rail system. The Delegation, organized by New York in China Center, met with the Chinese Ministry of Railways and other Chinese organizations involved in the design and construction of high speed rail, to discuss potential cooperation between New York State and China on the building of high speed rail in New York. The 2009 New York State Legislators and “Invest in New York” Trade Mission which included 26 State legislators and businesses from different regions of the state was co-led by President of the New York State Senate Malcolm A. Smith and Assemblyman Ronald Canestrari, Majority Leader of the State Assembly. This was the seventh delegation of New York State elected officials and business executives to visit China since 2003. The trade mission had four objectives: 1) to conduct “Invest in New York” seminars; 2) visit Chinese companies that had contacted the New York in China Center and expressed interest in meeting with the delegation, 3) to re-establish New York-Jiangsu Sister-State relations through a 20th anniversary celebration, and to 4) expand and increase the New York in China Center’s reach and activities. The 2008 “Invest in New York” Trade Mission to China was focused on promoting the Buffalo-Niagara region where the delegation participated in first-ever “Invest in New York” seminar. It also re-kindled the long-forgotten Sister State relationship New York State signed with Jiangsu Province in 1989 and resulted in an agreement to celebrate the 20th anniversary of the Sister State relationship in Jiangsu in 2009. The “2007 New York State and City Legislators Trade Mission to China” tour that took place September 12 – 19th, with visit to the most economically developed cities and provinces in China including Beijing, Guangzhou, Hangzhou and Shanghai, members of the delegation were briefed on the rapidly developing business environments and market conditions of each region. 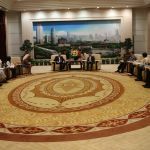 The delegation of New York State and City elected officials accomplished their goal of discussing and exploring business and trade cooperation with political and business leaders at various levels in the Chinese government. AABDC’s October 2006 Trade Mission included a unique group of seven business leaders, many of whom were recipients of AABDC’s annual “Outstanding 50 Asian Americans in Business” Award. The “Outstanding 50″ Trade Mission included visits to five cities that are key to China’s enormous economic growth, specifically: Shanghai, Hangzhou, Haining, Chengdu, and Beijing which offered unique first-hand opportunities for business leaders to learn about China’s economy, government, history, and culture. 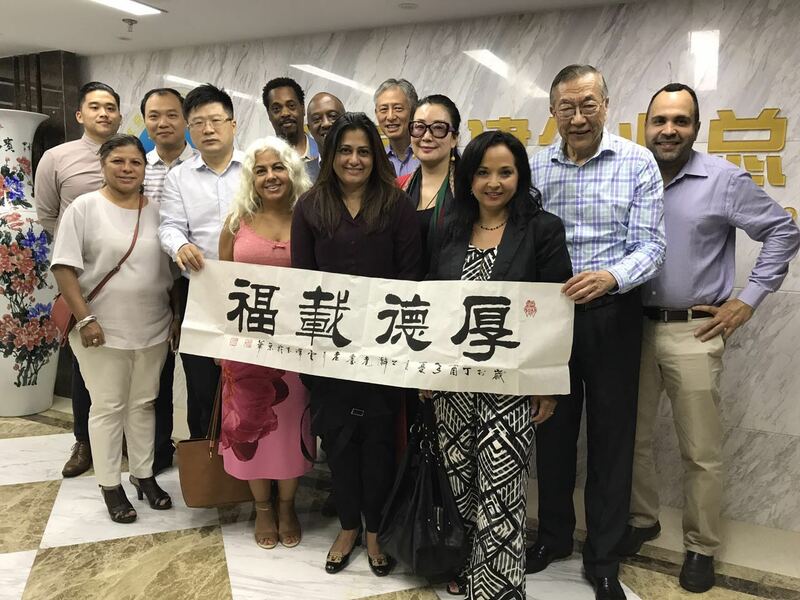 The “New Majority” Trade Mission was participated by five New York State Assembly members, representing African American, Hispanic and Asian American constituents, who traveled to China as a New York State delegation from September 16-24, 2006. A special highlight of the trade mission was the official opening of AABDC’s office in Hangzhou, China on September 21, 2006, making it the first New York-based business development center to have a presence in China. At invitation of the organizer, AABDC organized a business delegation attended the Western China International Economy-Trade Fair held annually from May 25 to May 28 in Chengdu, Sichuan Province. The fair is approved by the State Council of the People’s Republic of China and jointly established by the China Council for the Promotion of International Trade (CCPIT) and the People’s Government of Sichuan Province in 1999. The delegation composed of New York State legislators, economic development official and business leaders visited China to explore deepening ties between New York and China and the expansion of New York products export to China. The highlight of the trip was a meeting with the Minister of Commerce, Bo Xilai, to discuss the U.S.-China trade. The New York in China Trade Mission will focuses on promoting New York State products and services in the growing China market. The visit not only will help small and mid-size companies from New York to introduce, market and sale their products and services, but also will assist them in developing important contact to take advantage of the growing business opportunities in China. The historic New Majority Trade Mission to China was organized to bring a level of understanding to leaders of New Majority communities about China’s economic development and to encourage stability in the U.S.-China trade development is in the interest of both countries. At the same time, the trade mission hope to open doors for New Majority entrepreneurs to explore cooperation with Chinese enterprises and develop business opportunities. At the invitation of the State Council’s Overseas Chinese Affairs Office (OCAO), the Asian American Business Development Center organized the first “Outstanding 50 Chinese Americans in Business Trade Mission to China” from September 15 to 30, 2003. 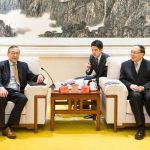 The passage of the permanent normal trade relations (PNTR) with China by Congress and China’s impending entry into the World Trade Organization opened a new chapter in the U.S.-China trade relations. Capitalizing on the extraordinary opportunities that exist for American companies, the Asian American Business Development Center organized the first of its trademark trade missions.